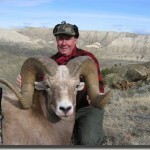 Armells Creek Outfitters offers private land hunts in the Missouri Breaks and Judith Mountains of Central Montana. We have limited openings available for Archery Hunts in 410-21 and 900-20. Our Trophy Archery Elk Hunt is truly the stuff that dreams are made of. Our local guides have spent a lifetime hunting these elk, in the heart of the Missouri Breaks and Judith Mountains of Central Montana. This hunt is geared toward the serious archer seeking a Pope and Young trophy. We advise you be in good physical condition to really enjoy this hunt. A limited number of these hunts are offered each year. We truly believe, and our clients agree, that this is one of the top archery elk hunts offered in North America. These are primarily private land hunts in hunting districts 410, 417 and 412. DATES: Hunt takes place in September and October. License prices are set by the State of Montana each year, and are subject to change. WE WILL PROVIDE ALL LICENSE APPLICATION MATERIALS TO OUR BOOKED CLIENTS, AND FACILITATE THE APPLICATION PROCESS FOR THEM.